I first heard about Jeremy Higgins’s research whilst watching Michael Portillo’s excellent ‘Railways of the Great War’ earlier this year. Whilst I had an inkling of the role of the railways in the transport of troops and supplies, the programme really opened my eyes to the vital part the railways played in the logistics of the war effort. The railways were a major employer in Britain, and of course thousands of railway workers served during the war, whether utilised in work related to their civilian employment or fighting in the front lines. Jeremy Higgins appeared on the programme talking about these men and his research into their lives. I was therefore very pleased to receive this book and see the fruits of his labours make it into print. I have to firstly comment of the quality of the volume. This is the first title I have reviewed from Uniform Press, and I must say the quality is fantastic. Glossy pages, great front and back cover illustrations, and hundreds of high quality photographs make this a pleasure to read. I am pleased to say that this is no case of style over substance. The book contains a wealth of information about those who served, covering topics as diverse as the railways before the war, enlistment of railway men, details of those who served (broken down by service arm and theatre of war), railway operations, ambulance trains, railway ships (vessels that pre-war been operated by the railway companies), case studies of those who died, details of gallantry awards to railwaymen, and further details about the work of the railway companies during the war. A final chapter reflects on the Quintinshill rail disaster, prisoners of war, and two railwaymen shot at dawn for desertion. It is a lot to fit in to 300 pages, and despite the structure of the book, at times the narrative does not naturally flow. A more focused approach may have worked better; Higgins has obviously uncovered a great deal of information during his research, and the desire to include all facets makes the book more like a miscellany at some points. Ultimately however, the book is about the railwaymen who served, and those who died, and this is where this volume’s strength lies. Through these men’s stories we learn more about the railways, how they operated during the war, and the immense contribution they played towards sustaining the war effort. With 12,500 stories to draw on, there is a great deal of information about individual men, including a considerable number of photographs and a dazzling array of charts and statistics liberally dotted throughout the text. Overall I haven’t been this excited by trains since getting my Hornby 00 train set as a youngster; testament to the superb efforts of the author combined with excellent production by the publisher. 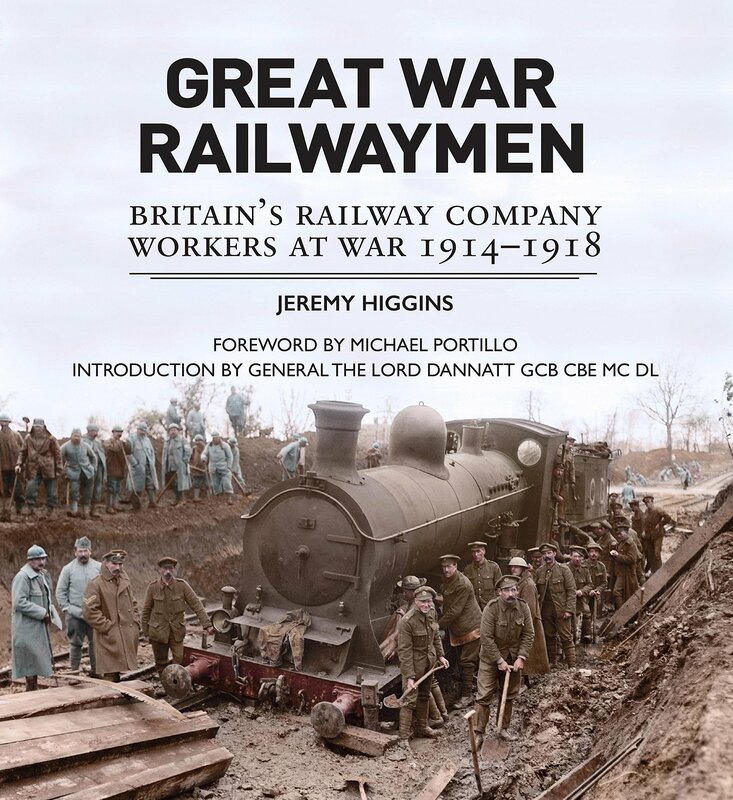 Jeremy Higgins must be commended for the sheer amount of information he has researched, and for condensing it down to what is a goldmine of information for anyone interested in the role of the railways and the railwaymen in the Great War.